Have you ever wondered what makes Savannah, Georgia, so special? 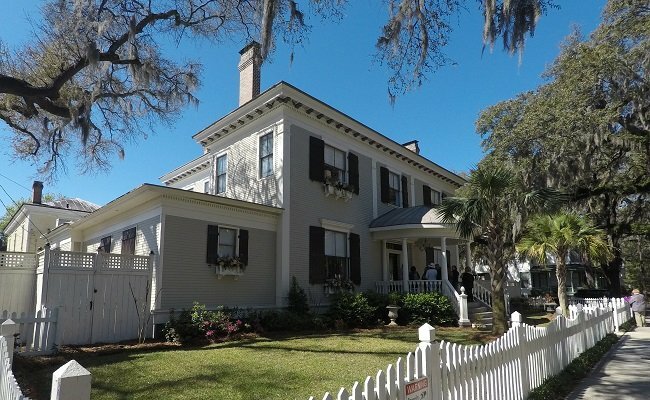 One of my favorite events is the Savannah Tour of Homes and Gardens (the drive is about a 45 minutes from Hilton Head Island). 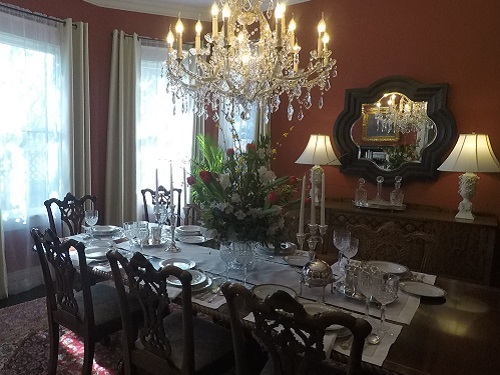 Enjoy touring private homes not usually open to the public and walk down Spanish moss-draped, oak-covered streets during a colorful springtime in Savannah! Savannah (founded in 1733) has the largest urban landmark historic district in the United States, with twenty-two oak-canopied squares surrounded by lovely homes and churches. The area consists of 2.5 square miles of preserved beauty, architecture and history. 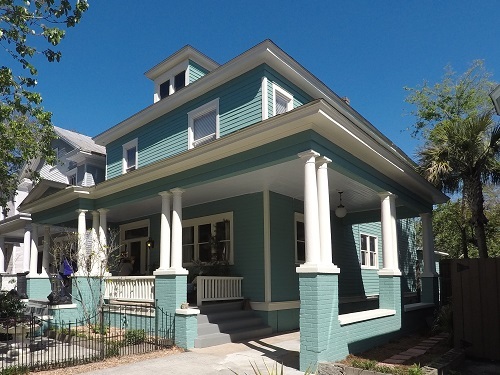 Thanks to a number of preservation foundations, such as the Historic Savannah Foundation, the Historic District has been enhanced by more than fifty years of preservation activity. 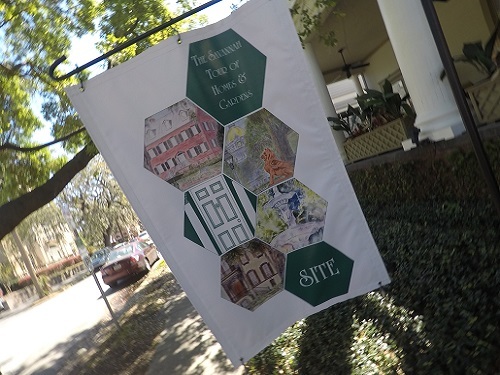 The 83rd Annual Savannah Tour of Homes and Gardens began on Thursday in the Victorian Historic District and Thomas Square Streetcar Historic District. Developed between the late 1860s and the late 1890s, the Victorian Historic District streets are lined with wide brick sidewalks, large trees, and narrow homes. As we meandered through to Thomas Square Streetcar Historic District, I first noticed the picturesque tree-lined streets and a blend of residential, commercial, and community landmark buildings. The district is characterized as a streetcar suburb, which developed during the late 19th into the mid-20th century. On Friday we toured the Western Historic Landmark District. We walked through Madison, Monterey, Chatham Squares, and my absolute favorite spot in Savannah, Forsyth Park. West Jones Street is truly the heart of the district featuring broad brick-paved streets and elegantly restored homes. 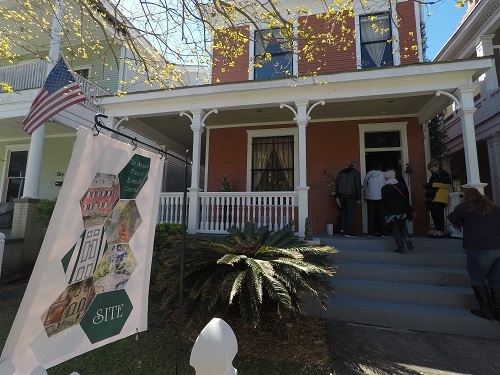 Saturday’s event featured the Eastern Historic Landmark District. 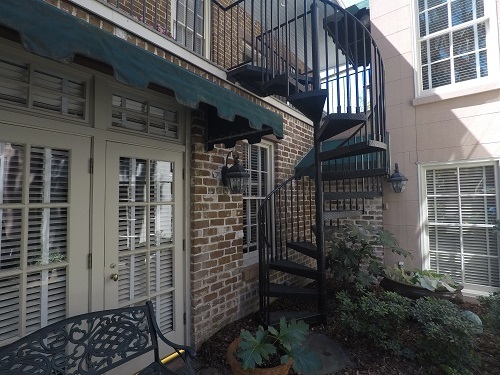 Built closest to the Savannah River, these structures date back to the mid to late 18th century and include Greek Revival and Federal style architecture. A majority of the restored homes in this area showcase wrought iron, unique architectural detailing, and charming front stoops. The area includes a range of both large and small houses as well as row houses in a variety of architectural styles including Romanesque, Victorian, and Italianate, among others. On the final day, the tour featured Ardsley Park and Chatham Crescent. This large residential area was originally developed in 1910 to accommodate automobiles. 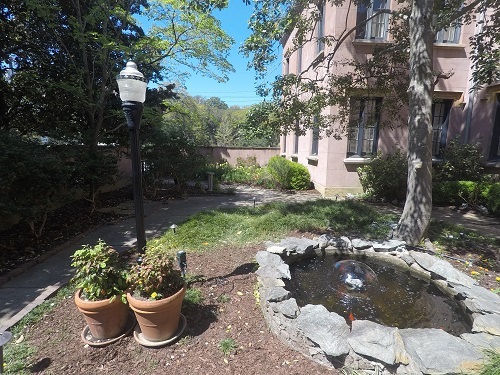 Ardsley Park showcases broad streets with lush tree canopies and landscaped squares. Chatham Crescent has one of the only Beaux-Arts inspired ‘City Beautiful’ plans in Georgia. The area includes a grand mall, crescent-shaped avenues, and small circular parks. The district is almost completely residential and contains larger homes with expansive lawns in a variety of revival and eclectic styles which were popular in the early 20th century. Please enjoy my photos of the 83rd Annual tour! Follow Spinnaker Resorts on Instagram, Facebook, and Pinterest for more information on events. We hope to see you at the 84th Annual Savannah Homes and Gardens!